Creative Commons 10 year anniversary Mixtape! Creative Commons is turning 10 this year. Therefore Creative Commons communities all over the world will be hosting a series of events and sharing party favors online for a ten-day celebration! In December 2002 Creative Commons released its first set of copyright licenses for free to the public. In the years following the initial release, Creative Commons and its licenses have grown at an exponential rate around the world. The licenses have been further improved, and ported to over 50 jurisdictions. With some major platforms adopting the Creative Commons licenses and version 4.0 of the licenses around the corner, this anniversary is the perfect opportunity to reflect on the past ten years, but also to look ahead to the future! One of the opportunities for Creative Commons to continue its rapid evolution is more collaboration between the various affiliates. 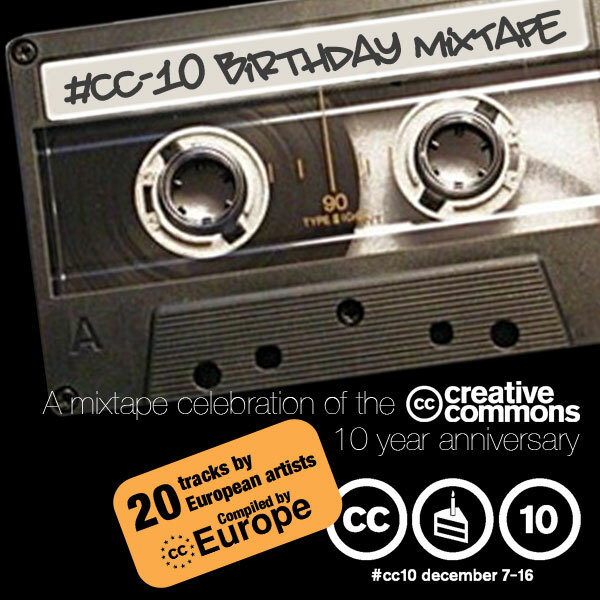 During the Creative Commons regional meeting in Helsinki earlier this year we’ve decided to use the 10 year anniversary to make a joint contribution to the festivities in the form of a CC-Europe mixtape. Each country nominated a couple of songs and an expert panel of CC affiliates has picked one song per country for the final compilation. In total we’ve received contributions from 20 countries! The participating affiliates are Belgium, Bosnia and Herzegovina, Bulgaria, Czech Republic, Denmark, France, Germany, Greece, Iceland, Israel, Netherlands, Poland, Portugal, Serbia, Slovakia, Slovenia, Spain, Sweden, Switzerland and the UK. 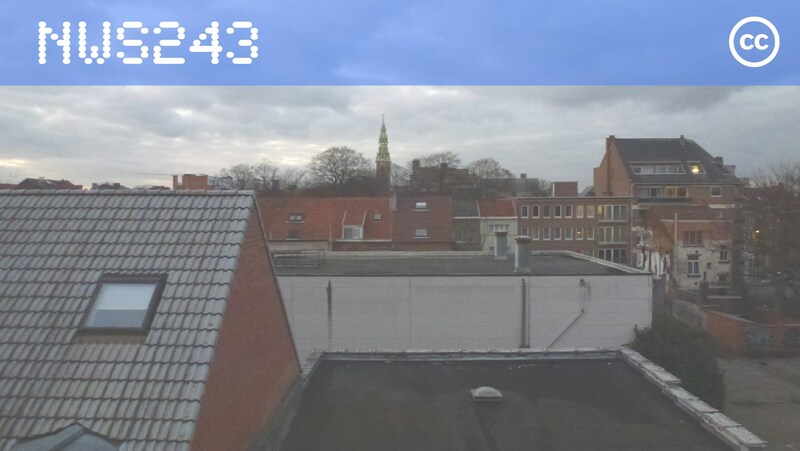 The resulting mixtape can be found at Free Music Archive, Soundcloud and Archive.org and is available for free download under various Creative Commons licenses. The album artwork is licensed with a Creative Commons Attribution license. You can check out all the anniversary events at http://wiki.creativecommons.org/CC10 and be sure to keep an eye out between December 7 and 16 for more surprises at http://www.10.creativecommons.org! It’s been almost half a year since we decided to reboot the Belgian Creative Commons affiliate. During these last couple of months we have been busy getting organised, reconnecting with the communities, and building this website. We are pleased to announce that we are once again an official and fully operational Creative Commons affiliate. On top of that, Creative Commons International is celebrating its tenth birthday in December. This definitely calls for a little get-together! On 08 December we are setting up a relaunch event with the help from PACKED and SMartbe. 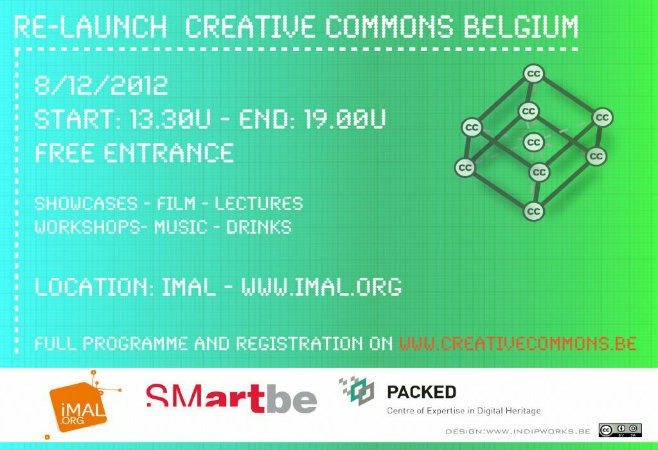 The event will be hosted by iMAL, in the heart of Brussels. The programme will consist of showcases where we present some artists working with Creative Commons and an exploratory track where we will unfold the CC-BE team, our vision and goals for the years to come, as well as a round-table conference on the future of copyright with some expert guests. To close off, we open the bar and invite everyone for a drink and a chat! The event will be held in French, Dutch and English. Admission is free, but we ask that you to register through the module below. Only 100 tickets are available, so don’t hesitate to register if you want to join us.